Geri and Jackie O’Keane inherit their father’s riding stables in Ireland and, both business women, set about modernising, including a website. 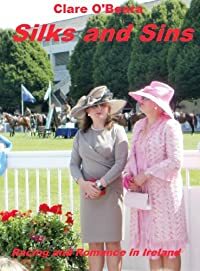 When Jackie meets Valentine Murney, a rising star in the flat racing world, her life appears complete. Val, who admits that he’s no saint, is dedicated, good looking, kind, and a great lover. Jackie sets her sights on the highly competitive 'most stylish lady' raceday prizes. Meanwhile Geri is drifting towards her own relationship.